Wolfenstein II: The New Colossus is an upcoming first-person shooter action-adventure video game developed by MachineGames and published by Bethesda Softworks. The game is the eighth main entry in the Wolfenstein series and the sequel to 2014’s Wolfenstein: The New Order. From the new trailer that dropped it looks like the game is focusing on one thing in particular: killing Nazis. Now keeping all that aside here’s all that we know about the upcoming Wolfenstein game. The game is set in an alternate time where the Nazi’s win the second world war, thus conquering Europe. Our Protagonist B.J. 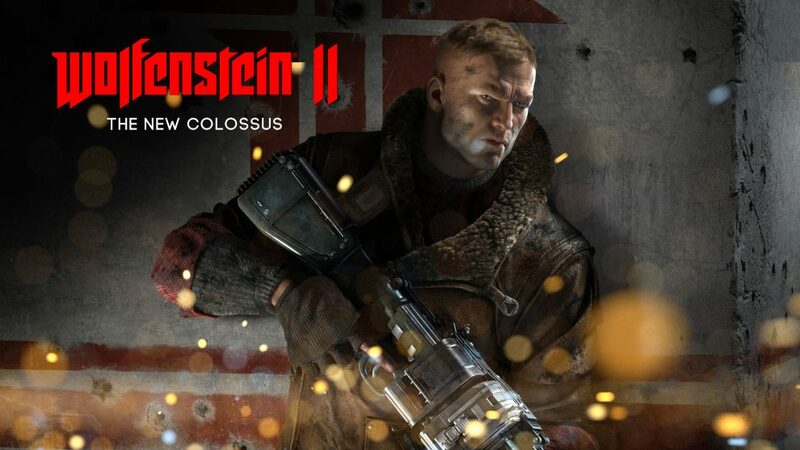 Blazkowicz after dealing with the Germans and killing several officers in Europe is back again and this time around he needs to team up with the militant American resistance to try and set up a Second American Revolution against the Nazi regime. The Nazi’s are being led by Frau Engel, a villain from the original game who suffered a brutal jaw injury. In the trailer, we also see the return of Max Hass, the character from The New Order. Wyatt will also make a return but that will depend on the choice that players made in the previous game. After being in a coma for five long months, B.J is now recovering and hence you find him in a wheelchair in the opening section of the game. At the start of the game, players will need to fight against enemies while on a wheelchair, which will be tougher slower and take some while getting used to.The submarine also has vaporising traps which can be switched on or off to entrap enemies helping your character in fending off enemies. The game looks really promising with a great storyline, characters and is expected to come out on 27 October 2017 for Microsoft Windows, PlayStation 4, and Xbox One, and in 2018 for Nintendo Switch.